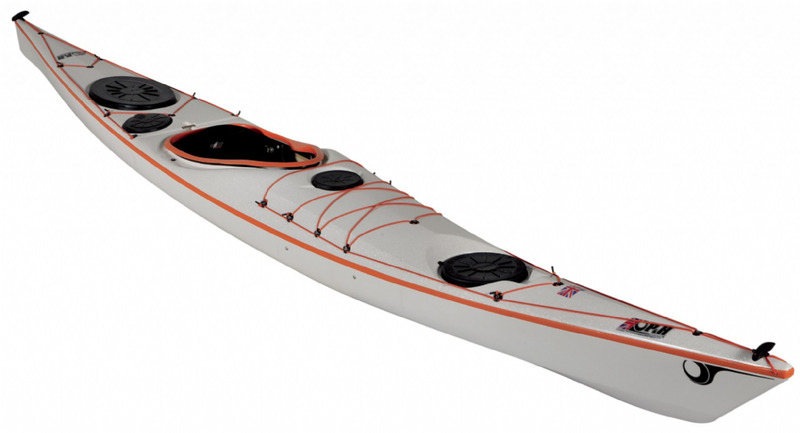 The Aires put the fun back into sea kayaking, with its hard chinned bow and good rocker the Aires surfs like no other sea boat out there, and is perfect for hacking around on your favourite tide race. As for the outfitting, well what else would you expect from P&H than an arm chair! Great seat and seating position means you can paddle all day long and still walk when you get out. The other nice thing that I was surprised about was the speed of the boat, for a relatively short sea boat the Aires still carries its speed well and although not ideal for long expeditions for a short weekend trips works just fine. The Aries takes the dramatically different design features and benefits from the Delphin and refines them for composite material systems and for the lower impact environment where composite kayaks excel. Hard chines and a pronounced deck are smoothed, producing a very forgiving, speedy and lighter weight kayak. Rocker - Super manoeuvrability when surfing and prevents purling. Quick resurfacing bow - Splits and sheds water preventing nose burying on steep waves and helps punch through waves on the way through surf. Hard chines in the bow - Direct water onto planning surface and bow allowing for a super-fast pick up on the wave, or when angled, breaking in and out. Planning surface and smooth chines in the stern Forgiving for beginners and when surfing. Flat mid-section hull The most manoeuvrable sea kayak on the market, spins like a white water kayak to get you out of those sticky situations like crossing fast flowing races. Width around cockpit Stable for beginners. Squared off stern - Increases water length, speed and tracking. Rear weighting - Creates a long water line when paddling on flat water for speed and tracking. Low back deck and cockpit - Easy to roll when the wave wins. Large rear and fore hatch - Lots of day tripping storage. Mini hatch - Access your essential gear on the move. Skeg - Aids tracking capabilities in cross winds. 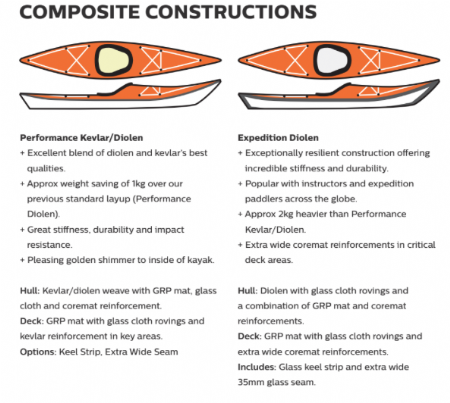 ​​​​​​​To see full list of custom options available for the Aries please see the P&H Sea Kayaks Website or give us a call to discuss the full list of composite kayak options. Including different constructions , colour options , fitted compasses , sailing rigs , Keel strips , and other special possibilities!